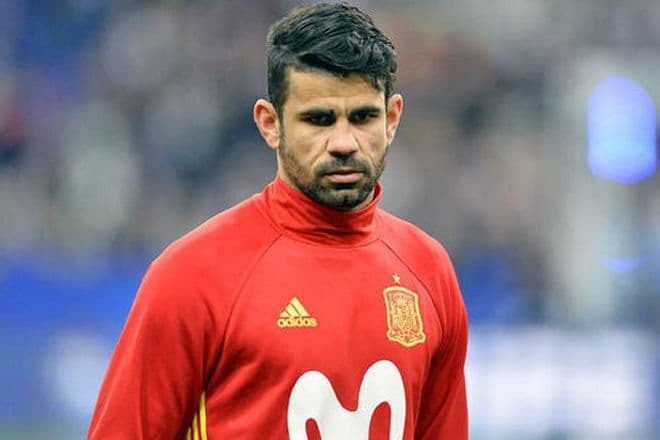 Diego Costa and Michele Zuanne Diego Costa has become famous not only for his soccer talent and victories but also hot temper, scandalous behavior, and provocations. He often drives his opponents mad surreptitiously as if it were accidental; as a result, players receive the red card because they responded to Costa. The sportsman’s stormy career and frequent transfers from one club to another puzzled the audience in terms of Costa’s origin. Diego was born in Brazil and later received the Spanish citizenship. 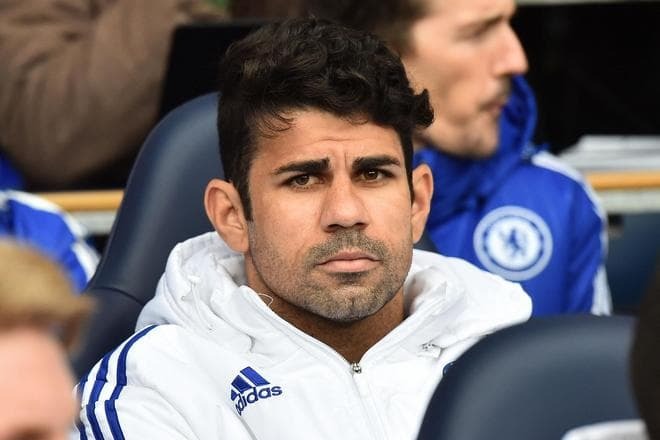 Diego da Silva Costa was born in the Brazilian town Lagarto into a large family. The parents brought up three children: Diego, the future soccer star, the son Jair, and daughter Talita. The boy got interested in sports early. It was about 40 minutes’ walk between Diego’s house and the soccer school “Bola de Ouro”; the boy was going there every day in all weathers and sometimes took his brother’s bicycle to arrive in time. It was not the school actually: the administration of a poor agricultural town could not allow a real soccer field. Boys trained in the sand streets where cars sometimes appeared. As the coach saw the newbie’s talent, unusual endurance, and physics (Diego was a large child; today, his height is 188 cm., and his weight is 83 kg. ), he put him to the older children’s group. Thus, the boy started mastering his striker abilities. The father José de Jesus remembered that Diego had always shown aggression at home and on the field: the boy was rude and quarrelsome. He would slap people in the face, swear, or go off into hysterics if he saw side glance or wrong, in his opinion, action. The sportsman’s character has hardly changed: during international matches, Costa continues to talk back and kick up a fuss about nothing. For this reason, fans do not hesitate to greet Diego with middle fingers in the air when he appears on a field. Still, his family, especially the brother, is glad that the boy was allowed to express his anger. Jair and Diego had always been rivals, and Jair believes that he made his younger brother a competing player. 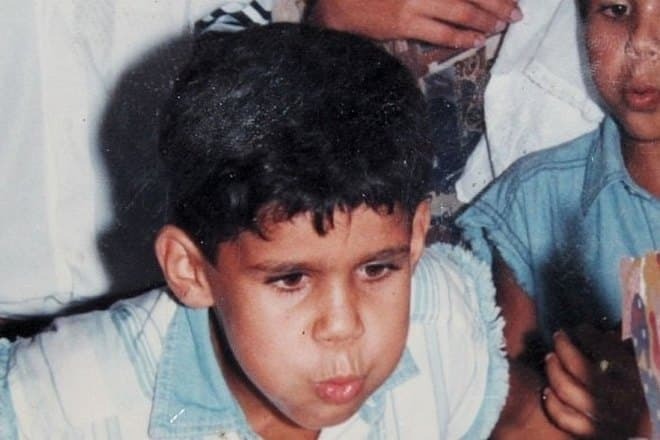 At 15, Diego Costa accepted his uncle’s invitation and moved to the large Brazilian city São Paulo. The boy worked part-time as a street salesperson and trained with the young soccer team in the suburban area. Soon, the Fourth Division club Barcelona Esportiva Capela representatives got the news about some talented sportsman. However, the Portugese club Braga offered the young player their contract first. The 16-year-old man decided to accept the alluring proposal even though his family objected – the parents did not want Diego to go to Europe. Still, the boy had fought them off and said he had the right to make his life decisions. At the beginning of his professional career, Diego Costa moved from one club to another. However, he was always taking the position of a striker. 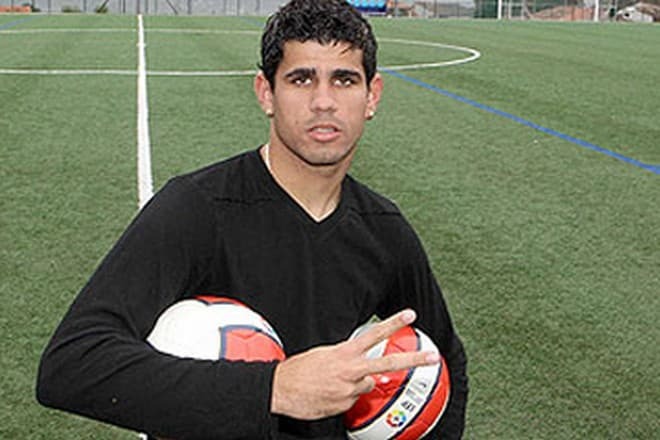 Costa has played in seven soccer clubs. In Braga, he was a reserve player for six month, then the Portuguese club Penafiel loaned him. By December 2006, the young man played for Atletico Madrid as number 18; the transfer cost was €1,5 million. However, he did not stay in the Spanish club for a long time – he was loaned by Braga and brought it the first UEFA goal. The Brazilian spent the 2007/2008 season in the Spanish Celta de Vigo and got to Albacete later. The sportsman had tried playing for several clubs. In 2012, he finally settled in Atletico where he found glory and respect as he turned into the most effective striker and team leader. The player helped the Spanish team to win the Primera División and get to the final of the UEFA Champions League. Liverpool was considering the player as its member. 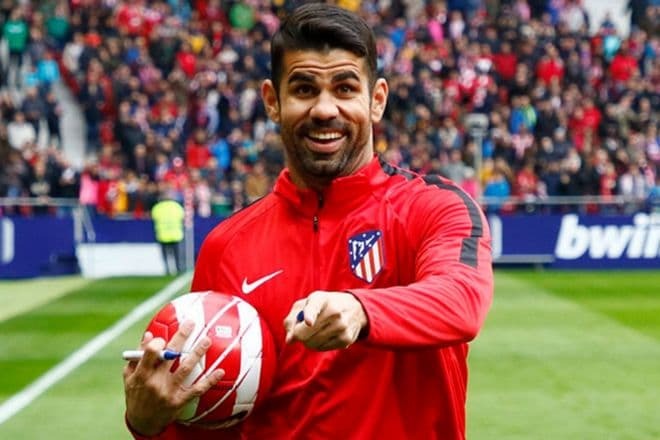 Initially, Costa wanted to accept the offer but decided to stay in the Spanish team so that he would “grow with the club.” At the beginning of summer 2014, the legendary Chelsea bought the player. Diego’s results were excellent: he was worth the money spent on him (€38 million). As the Chelsea number 19, he regularly scored and led the team to the victory in the British Home Championship. The sportsman’s results were good until the next season: he disappointed the team fans with his sloppy playing. The situation hanged when the new coach Antonio Conte joined the team. Diego Costa pulled himself together and broke the record of the first season in Chelsea. The team had 35 “war-like” games with 20 goals scored and 13 victories gained. However, the infamous loss to Tottenham interrupted the chain of triumphs; the score was 0:2. In Chelsea, Costa’s earnings were €150 thousand per week; the contract was to expire in 2019. According to The Guardian, the club administration planned to raise this sum to €200 thousand. In 2013, the sportsman debuted for the Brazilian national team. 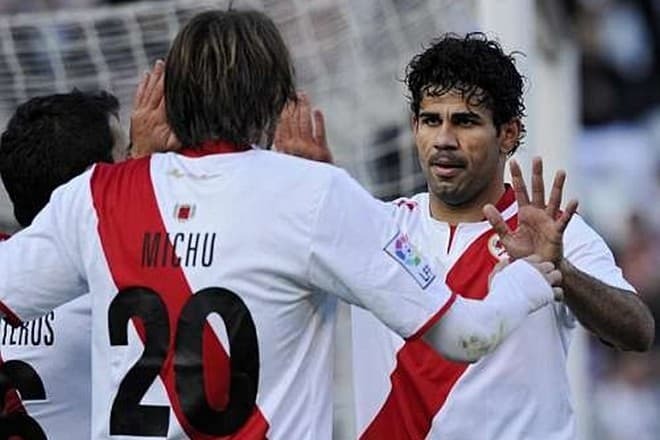 In six months, Diego was invited to play for Spain whose national team was the strongest in the world. 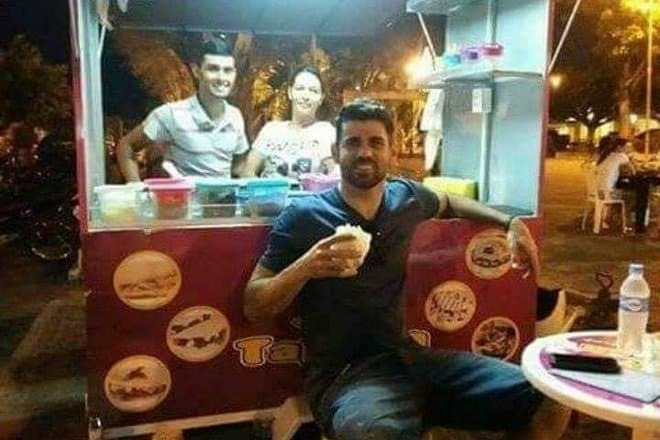 Costa did not think about it much and officially accepted the offer. He explained his decision: it was Spain that gave him everything he had. In Lagarto, where the player was born and raised, people discussed their compatriot’s action: some accused Costa of betrayal, others supported him because he could make the small town famous. From that moment, the Spanish team has not won any large competition. It got kicked from the 2014 FIFA World Cup without getting out of the group. In Euro-2016 in France, Costa played two matches and helped the team go to the round of 16. The striker plays under number 19. Little is known about Diego Costa’s personal life: the player does not share this information in his interviews and prefers to discuss his career only which actually looks like praising the clubs he plays for. His Instagram page contains photos related to soccer only. It is known that the Brazilian used to date the top model Michelle Zuanne. The forward’s girlfriend told journalists about their affair and breakup. The young people met in 2010 at a party, and their relationship was developing swiftly: Diego showered the young woman with presents and flowers and cooked dinner for her. According to Michele, Costa began to pick up her sister. Later, Zuanne heard the rumors that the sportsman had left his former girlfriend as soon as he learned she was pregnant. After this news, the model decided to split up. Diego Costa financially supports the sports school in his native town where he started playing soccer. Thanks to the former student’s money, the school can hold 230 children including those who came from other regions of Brazil. Costa scored 59 goals in his games for the blue and helped gain the title of the champion twice. 2017 began with the conflict with the Chelsea coach Antonio Conte. The quarrel was caused by the striker’s plan to accept the Chinese offer and stop training with the English team. Tianjin Quanjian was going to pay the player €35 million annually. In his turn, Conte said he did not count on the Brazilian and it would be better to replace Diego by Thomas Müller, the Bavaria forward. After Costa left Chelsea, rumors had it he could join Zenit Saint Petersburg – at least, the sportsman expressed his warm feelings to the club. However, the club did not submit the transfer request. In fall, the Brazilian was loaned by Atletico Madrid that paid €60 million for the player; Diego’s wage was €8,3 per year. In January 2018, the player scored in the Copa del Rey game with Lleida Esportiu. 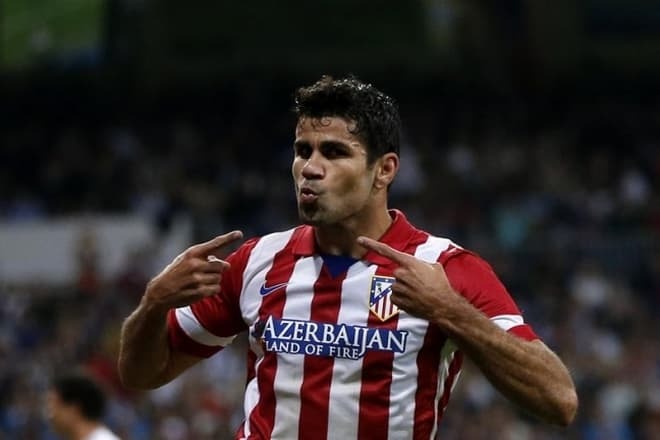 On May 6, his team played against Getafe; Costa scored a goal but got the red card. In the Europa League semi-final game, Atletico Madrid and Arsenal (London) met. Fans expected Diego to miss the match due to his previous trauma, but the sportsman appeared on the field and even scored a goal. 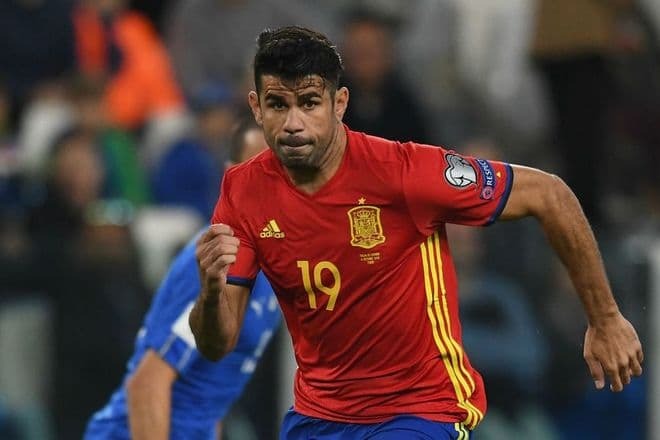 In summer 2018, Diego Costa went to the FIFA World Cup as the Spanish national team member. The game with the Portuguese in Sochi was the first match; it was a draw: 3:3. Diego scored two goals. The Iranian team was the next opponent of the Spanish.